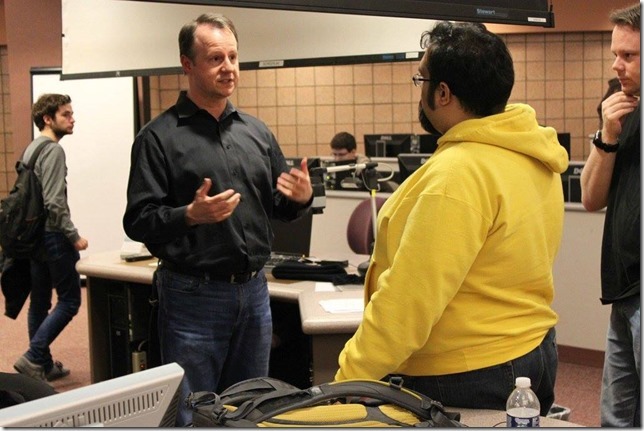 Stardock Visits The University of Michigan! Yesterday, Stardock VP Derek Paxton presented Stardock's game development philosophies and business practices to a group of Wolverines. Derek and developers Alan Batsford and Sarah Trombley and artist Leo Li gave members of Wolverine Soft, the University of Michigan's game development organization, a taste of what it's like to work in the game industry.